– KC Equipment have officially been appointed a dealer of the Bushranger Power Equipment range. Bushranger are an Australian-owned brand, based in Queensland, that have been operating since 2004. They provide commercial grade products to the Australian market, for the professional and pro-consumer user. 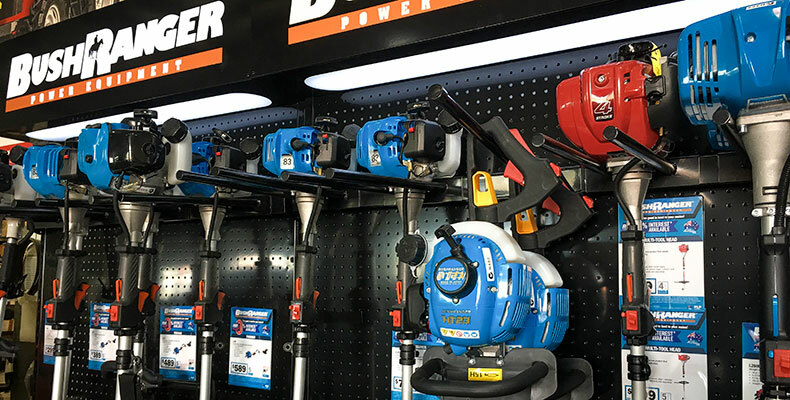 Bushranger have a principle of quality that is evident across all their products, and will complement perfectly the range of quality mowers, tractors and groundscare equipment available at KC Equipment. 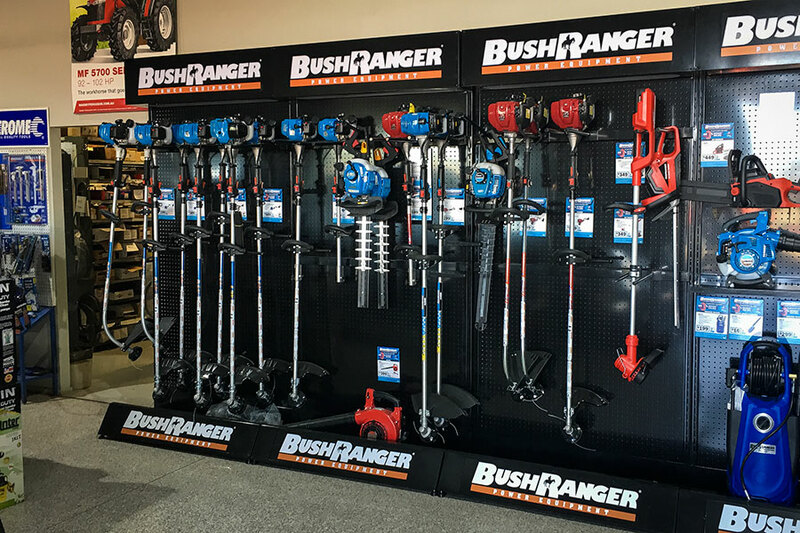 The Bushranger range encompasses grass trimmers, brushcutters, blowers and vacuums, hedge trimmers, chainsaws, chippers, edgers, augers and pressure washers. 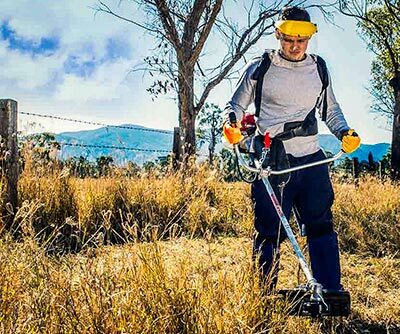 Bushranger trimmers feature a wide range of options, such as different line and steel cutting heads, a range of multi-tool attachments, and engine options that include Kawasaki 2-strokes and Honda 4-strokes. 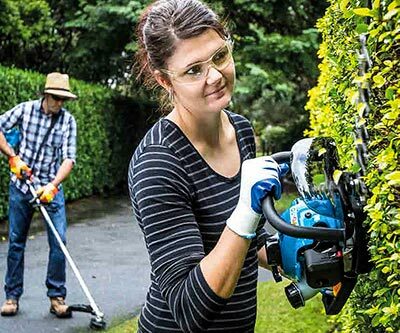 Also available in the Bushranger range is a new ‘Power Of One’ range of 36V electric tools, which share a common high-capacity lithium-ion battery to power a 550mm hedge trimmer, rotating-head line trimmer (for easy edging), 300mm chainsaw and easy-push lawn mower. Bushranger equipment is built to a standard, not a price point, to ensure years of dependable use and peace of mind. All Bushranger products are tested in Australian conditions, with the majority of the range backed by a 5 year domestic warranty. Bushranger products will be on our website soon – until then, please refer to the Bushranger catalogue for details. To see the range in person, please visit the new Bushranger display at our Yatala branch. For a limited time the Bushranger V8 Ute will also be on display to promote the launch! 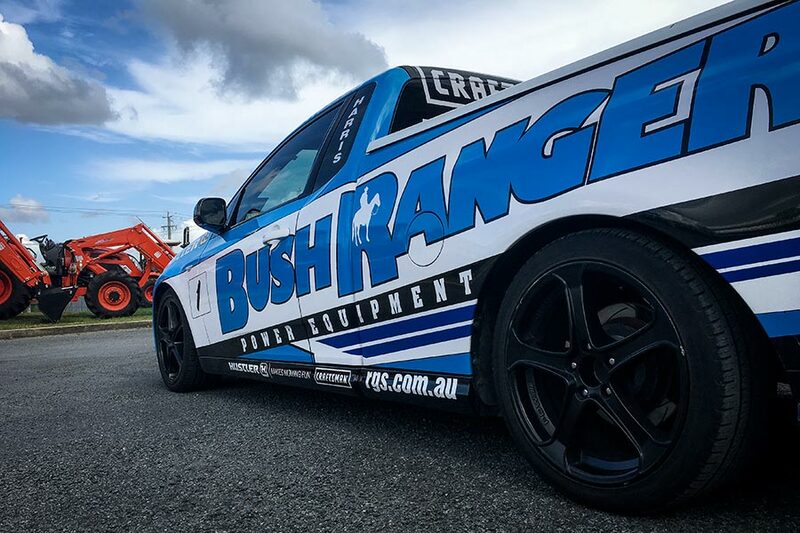 When it comes to new power equipment, there’s no better choice to make than Bushranger. Come down and see the difference for yourself.